I know there are blogging rules I am supposed to follow. Like blog once a week and on specific day – bla bla *yawn* I don’t like rules. Hope you don’t mind that sometimes I spam you with several posts a day 🙂 Today is the day. It’s an old photo and you probably saw it. But it’s absolutely worth reposting – it cheers me up every time and I think it captures the essence of happiness beautifully – child like, innocent, in the now. I seem to have finally found its source, or at least Yahoo Answers claim they know it. Check it out, it may make you laugh, or you will be stunned at the amazing culture and nature of Mongolia. Whichever it is, I hope it makes you feel happier. High five, Universe, and have a terrific Sunday! 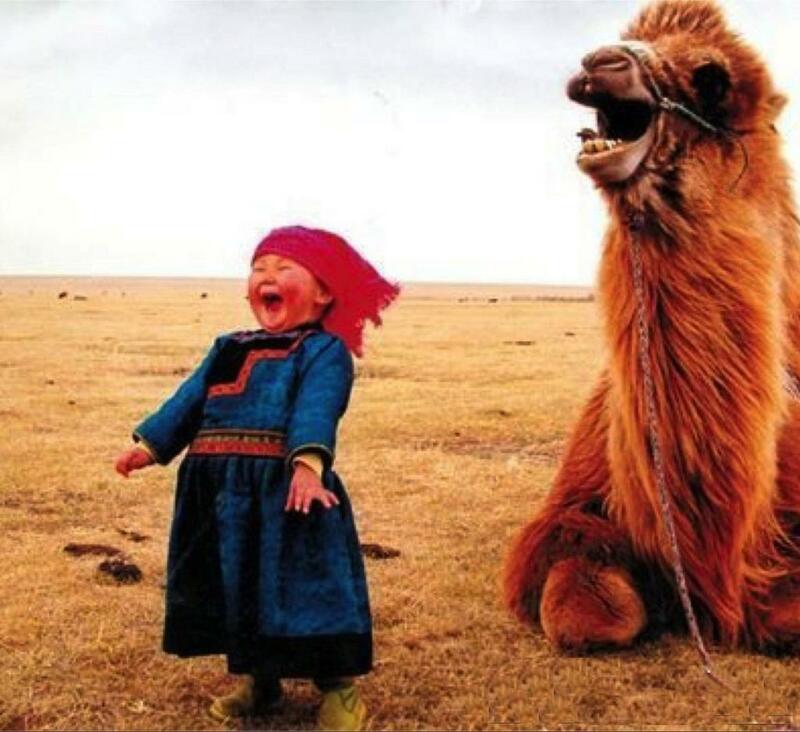 This entry was posted in default and tagged camel, girl, happiness, laugh, mongolia, nomad, universe. Bookmark the permalink. Thanks Pamela! Me too. But so far – as far as I know – no one were able to find out the source of this image or find a high resolution copy. I’d have it as a poster if I could get a better copy of the original! When I first saw this photo I was just so so happy and just kept smiling. I just cannot remember the photographer’s website. Oh, I’m just fuming that I didn’t. I have this picture in my datebook and I look at it everyday. She just makes me happy and I just smile. She is absolutely adorable!